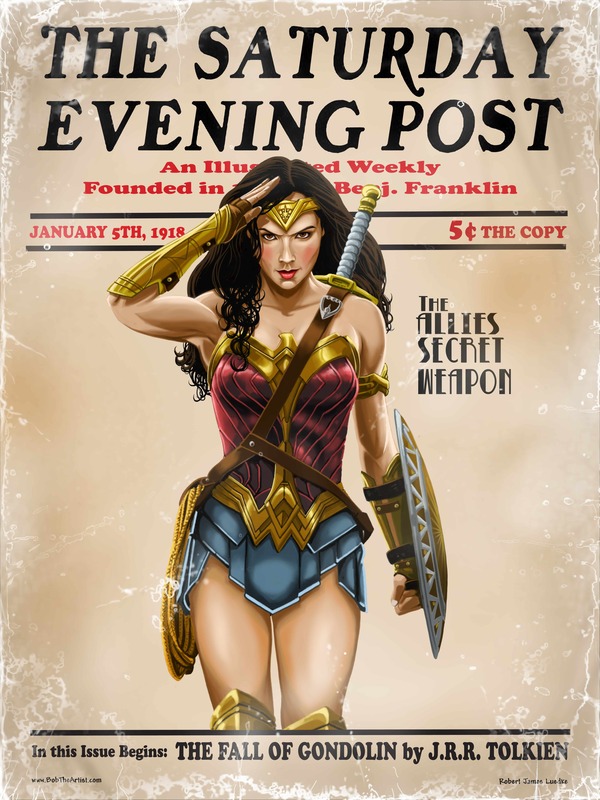 Magazine parody of a World War I era Saturday Evening Post cover, featuring Wonder Women. Digital painting by Robert (Bob The Artist) Luedke. Available as an 11×17″ print on 100lb stock. Ships flat in top load hardcase.